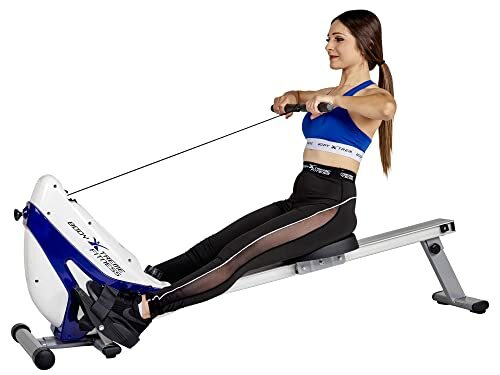 You may be wondering why you should consider trying to find the best rowing machine, or you’re already considering buying one but have no idea where to start. There are lots of benefits to using a rowing machine. They’re good for both strength training and cardio exercise. They also give you a low-impact workout, without being hard on your joints. Plus, they’re a great way to fit in a workout during sedentary activities, like binge-watching tv. Lots of people like them and swear they’re great for indoor exercise. Some even claim that they work as well as, if not better than physical therapy exercise. But, there are a lot of different brands and types, all of which claim to be the best. So, how do you find the best rowing machines? 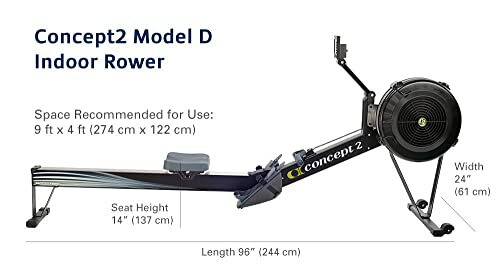 2 How to Choose the Best Rowing Machines? 2.1 Do you like rowing action? This machine uses water resistance, making it super quiet and providing a gentle, smooth resistance. Because of the water resistance system, the parts don’t need to be maintenanced. The water keeps them lubricated. They also won’t break down because they’re made from water-resistant materials. It’s got an ash hardwood frame, which makes it solid and sturdy. The wood naturally absorbs sound and vibration, so it’s designed to be quieter and vibrate less than other machines, and its wood will last. The strong wood frame gives it a 1,000 lb max. weight capacity. Plus, the wood comes from replenish-able forests, making it environmentally friendly. If all of that weren’t good enough, it has several other features. It has a Series 4 (S4) performance monitor that tracks workout intensity, stroke rate, heart rate and more. It’s compatible with an optional (and not included) heart rate chest strap and receiver, as well. The machine can be stored upright. It’s good for tall people. The standard slide rail is 38 inches, and you can opt to buy the 42 inch rail instead. And, there’s a warranty. Assembly required: can take 30-45 minutes. Chain/cord/handle system instead of arms means it’s not an “authentic” rowing motion. No “full motion” rowing. 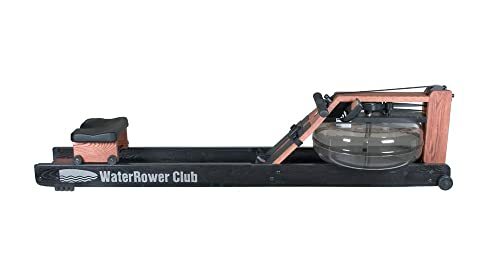 This has been the best-selling rowing machine in the world for 40 years. The performance Monitor 5 self calibrates and can connect to heart rate belts or apps (neither of which come with it). It has some cool features such as Bluetooth compatibility, which makes it easy to sych up to heart rate apps, and you can save your workouts to a USB drive (also not included.) Some other tech features that come with the machine are an email list that features a Workout of the Day, a free ErgData app to record stats on your phone, and online challenges and ranks to compare your results to others. Its air resistance system comes with 10 resistance levels. There’s a 5 year warranty on the frame. It has a 500 lb weight capacity. It stores away easily, coming apart in 2 pieces without the use of tools. It’s easy to move, too because it has wheels. And it’s very easy to assemble. Easy assembly: just 8 screws. It’s heavy, weighing 70 lbs. Maintenance required: the chain will need lubricated. It’s long. You’ll need 9 feet. This machine is strong and sturdy, having a steel frame, which allows it to boast a 350 lb maximum weight capacity. It’s got a 38 inch long slide rail, which is great for tall people. 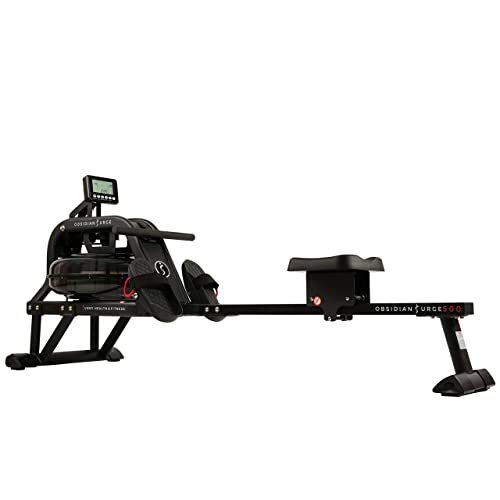 It has full motion rowing, which mimics actual rowing motion and provides an authentic rowing experience. It’s designed for full arm extensions, which lots of machines don’t provide. It has slip-resistant handles and anti-slip foot pedals with velcro straps to keep your feet in place. The hydraulic resistance system has 12 resistance levels to choose from, which lets you make your workout as challenging or as easy as you want. The digital monitor lets you keep track of time, calories burned, count and RPM. It’s compact, so it fits into small places easily. What’s more, there’s a bracket to place your phone or tablet on to watch videos or listen to music while you work out. Bracket that lets you put a tablet or phone on it. The resistance cylinder gets hot and may need covering to avoid injury. Some assembly required. Takes 20 minutes or so. The water resistance on this machine means that every row is instantly met with resistance that’s unlimited. It has 3 hydro blades in the water compartment that help to make it mimic authentic rowing. They harmoniously interact with the water, providing smooth resistance. The steel frame is strong and sturdy, which lends to its 300 lb weight capacity. Sweat and slip resistant handle bars and large slip-resistant pedals with nylon straps make it safe to use. It’s got an ergonomic and ergo-efficient design. Not only is the seat padded for comfort, it sits high so that you can get on and off of it without unnecessarily bending or straining your back. The 49 inch slide rail is good for tall people with long legs, as well. It’s easy to store and move, with non-marking rubber wheels. High seat: doesn’t strain or stress your back. Water resistance system is quiet and mimics actual rowing. Adding or decreasing resistance is a little hard. It requires you to add or remove water, which you do with a pump and funnel that are provided. This machine uses magnetic resistance. The electronic tension control makes adjusting the tension easy. It creates a lot of tension, but it’s a smooth and easy row. An LCD display records time, pulse rate, counts and calories. There’s a heart rate monitor included. The seat is molded and padded, which keeps lower back muscles stress- free. There’s a maximum weight capacity of 275 lbs. It’s good for tall people, as well, with people up to 6’2” saying they can use it. Low on space? No problem. It folds up and stores upright easily. Aluminum frame: not as strong as steel. Limited arm motion: you may not be able to have them straight in front of you. What’s great about this machine is that the rail is set at a 15 degree angle. It makes sliding smooth and efficient. Its magnetic resistance system has 8 levels, controlled by a resistance tension knob. There are large foot plates with straps to keep your feet from moving around. It also features a padded seat for comfort. The weight capacity on it is 264 lbs. The frame is fold-able for easy upright storage, and there are wheels for easy transportation. It’s also easy to assemble. Plus, there’s an LCD display that shows the time, count, calories burned and total count. 15 degree angle on the slide rail that makes sliding easier. There’s no physical manual, just a downloadable PDF. 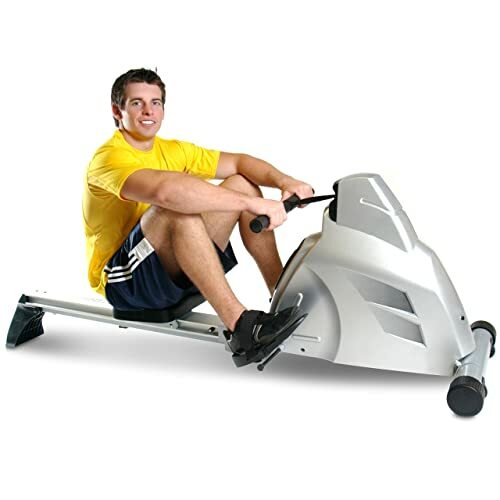 This machine comes with arms and allows for a full range of motion, including circular rowing motions. These arms fold for storage, meaning that it’s compact and space-saving. It features hydraulic resistance and has an adjustable resistance knob with 12 resistance levels. There’s a padded, molded seat that’s supposed to provide comfort and support, but some people are having to cushion it because they find it uncomfortable. There’s a multi-function electronic monitor that displays time, stroke count, calories burned and total strokes (all time). It’s got a sturdy steel frame that supports a 250 lb maximum weight capacity. It’s also very light, weighing in at only 39 lbs. .Rowing beam is aluminum, which isn’t as strong as steel. The foot pedals may not fit big feet and can lead to slippage. May need to cushion the seat. 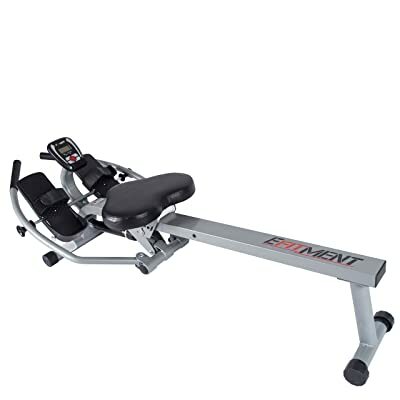 This machine features arms, which allow for full- motion rowing, including circular rowing motions. They also fold up for easy storage. There are pivoting footplates with velcro straps. The hydraulic resistance system is adjustable with the turn of a knob. There’s a high-tech LCD monitor that displays time, total stroke count and calories burned. It also does a body scan to give you a customized workout. The monitor’s scan function goes through workout metrics every 6 seconds, as well. There’s a guarantee that the machine will arrive with all its parts, no defects or damage, and a warranty that repairs defective or damaged parts if they occur. It also features a sturdy steel frame. Body scan function of the monitor. Assembly required. They give you a YouTube video for assistance. Foot pedals may not fit large feet. Feet may slip out of straps. The magnetic resistance system weighs 16 lbs and provides quiet, smooth rotation and tension that’s adjusted with the turn of a dial. The LCD display shows time, scan, count, calories burned and count/min. There are non-slip handles and pedals. The seat is inclined making for a great leg workout. It’s easily stored upright. It’s also easily assembled, with parts of it coming per-assembled. 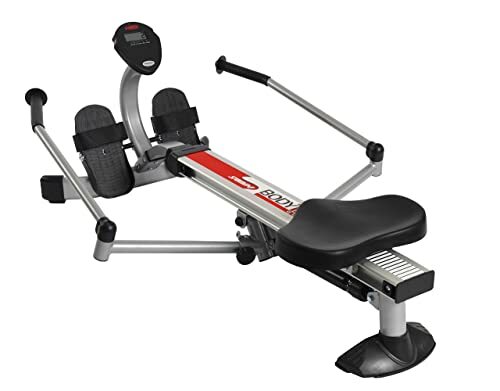 It’s an overall good rowing machine with all of the functions you need. Aluminum frame, which isn’t as sturdy as steel frames. Marketed as lightweight, but weighs 56 lbs. This machine features magnetic resistance, and 10 different resistance levels which can be adjusted with a knob. The cord on the machine is elastic, making it easier to use. There are non-slip handlebars and large anti-slip foot pedals with foot straps to prevent you from slipping around. The frame is made from steel, making it strong and sturdy. There’s a large LCD display screen that shows total count, calories burned, count per minute, count, scan, time and distance. Some assembly is required to put it together. It’s easy to move because it has wheels on it, but it weighs 50 lbs, so it’s a little heavy. Lots of LCD display monitor options and features. Only has a 220 lb weight capacity. You may need to put a cushion on the seat. The frame may be steel, but the slide beam is aluminum, which isn’t as strong or durable as steel. 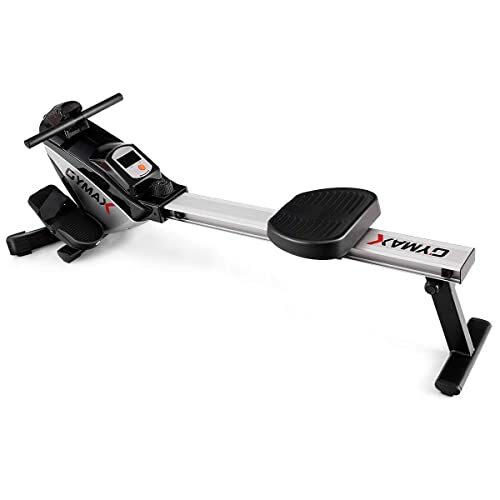 How to Choose the Best Rowing Machines? Do you like rowing action? If you like the rowing action, you should probably consider a rowing machine with “authentic rowing action”. The machines with arms that allow for “full motion rowing” are best for this. They make the circular rowing motion easy. Some of the rowing machines are quite expensive. High price doesn’t necessarily mean that the machine will best meet your needs, however. So, it’s best to figure out both what you need and what your budget is and then go from there. How big your home is and how big the machine is are very important aspects to consider before buying. 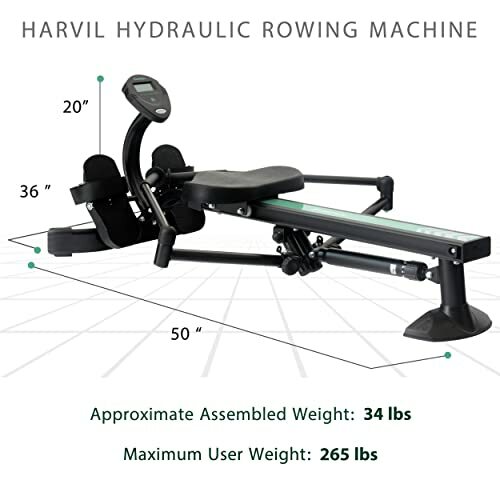 If you have a small space, or if you’re considering using it in a high-traffic area, consider a fold-able rowing machine. Also, be sure to measure your space and compare it to the dimensions listed in the product description. If you weigh 350 lbs and the maximum weight capacity is 200 lbs, that’s not going to work well, and may even be dangerous. Similarly, if you’re tall, measure your inseam to make sure the slide bar is long enough. There are 4 basic types of resistance in rowing machines. They all work differently and suit different needs. So, make sure to read these descriptions carefully and see which ones match your needs before even reading the product reviews so that you’ll already know what you’re looking for while you’re reading the reviews. These machines work by creating resistance using air over a flywheel. The wheel is connected to a chain attached to the handle. When you pull the handle, it pulls the chain and moves the flywheel. Maintenance: You’ll need to lubricate the chain. These machines work by using a water flywheel in a water tank. The flywheel is connected to a chain, which is attached to the handle. Pulling the handle makes the wheel move and churn the water, creating resistance. Closely replicates authentic rowing resistance. People tend to like the soothing sound the water makes. Magnetic resistance machines work because they vary distance between magnets and a flywheel. The wheel is attached to a chain, which is attached to a handle. Levels are adjusted by using a slider, knob or digital controls. Smaller than air or water rowers. These machines work by using pistons attached to the handle. As you pull the handle, you pull against air or fluid that’s inside a cylinder. You can adjust resistance using levers or clamps. More quiet than air and flywheel types. Resistance levels aren’t consistent. They change as oil inside heats up. Depending on what sort of machine you choose, you may need to lubricate the chain. This is fairly simple, but it needs done once a month. Also, these machines create a fair amount of vibration and there are a lot of moving parts. Once a month or so, you’ll need to inspect the screws and fittings to make sure they haven’t loosened, and tighten them up if they have. You’re also probably going to have to clean sweat off of the machine, especially if more than one person uses it. It’s one thing when it’s your sweat, but it’s pretty gross to touch someone else’s. One more note: if you choose a water resistance rowing machine, you’ll need to empty the tank periodically. Any time water is left to sit for a long period of time, it stagnates and starts to smell, sometimes even developing mold. 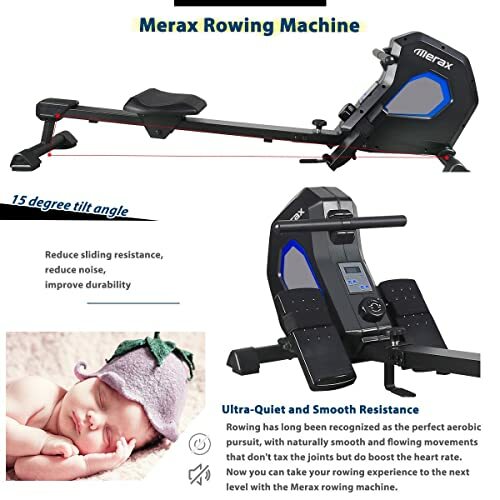 Although it can be confusing to wade through all of the different types and brands of rowing machines in order to find the best rowing machine to fit your needs, you should be better able to make that decision after reading this article. You should know what will suit you and why. And, you should know which type of resistance you want in your rowing machine. You even have some product listings and reviews to start you off with. They’re a good place to start, even if you end up choosing something else. So, you can now confidently buy your own rowing machine and reaping its benefits.